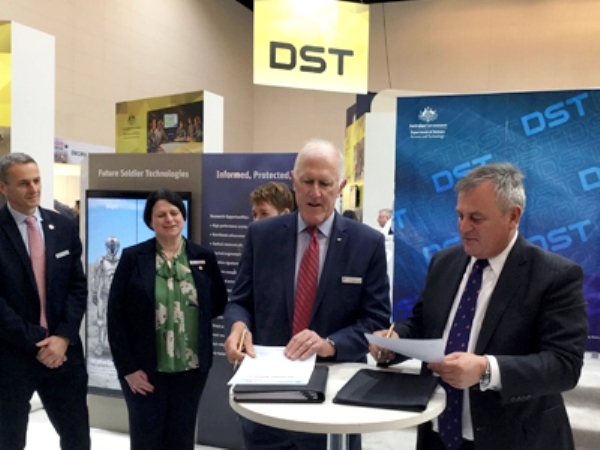 Defence Science and Technology (DST) has formed a strategic alliance with L3 Technologies to support the development of new advanced maritime technologies. The alliance will explore the development of new technologies in undersea command and control systems, spectrum sensing and shaping, and cyber assurance. Defence industry Minister Christopher Pyne said enhanced underwater maritime communications will be the first research topic to be explored under the strategic alliance. “The government is investing $80 billion in Australia’s future submarines and future frigates which need to be backed with advanced maritime technologies,” the Minister said. The alliance agreement was signed by L3 Technologies’ CEO Alan Titheridge and the Chief Defence Scientist Dr Alex Zelinsky, at the recent Land Forces event. “With L3 Technologies now on board, DST has strategic alliances with 15 Defence primes and public-funded research agencies,” Mr Pyne concluded.